The Rio Vista Ranch for sale in Johnson County, Texas is blank canvas waiting for you. 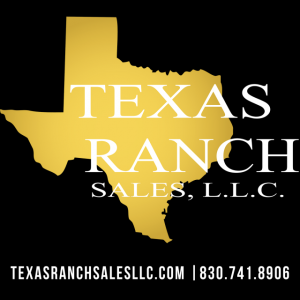 This ranchito is conveniently located 44± miles south of Fort Worth and 11± miles south of Cleburne, Texas on paved FM 916. This raw land would make the perfect permanent residence, weekend get-away, recreational hunting property, small cattle ranch, or even a highly productive exotic game ranch. The north 29± acres have been cultivated and consist of Ponder Clay, Sanger Clay, and sandy loam soils. The soils on this ranch present an excellent opportunity for improved grasses, grazing, farming or hay production. A six-acre pasture in the southern end of the property would make a great food plot. The remaining 40± acres are a dense mix of hardwood oaks, cedar, elms and hackberry trees. A small pond on the western portion of the ranch collects runoff during the rainy season and along with diverse vegetation, this property is a great habitat for wildlife. Whitetail, turkey, and quail can frequently be found on the Rio Vista Ranch. The wooded portion of the ranch holds the highest point of the property at 769± feet above sea level, about a 51′ change in elevation change from the lower part of the ranch. Fantastic location, convenient access, and unlimited improvement and development potential make the Rio Vista Ranch the perfect ranch for any buyer looking for a blank canvas to create their dream property. View listing on agent's site.